2-Hour Car Orientation Tour with English Speaking Driver. Perfect introduction to Rome for "just arrived". 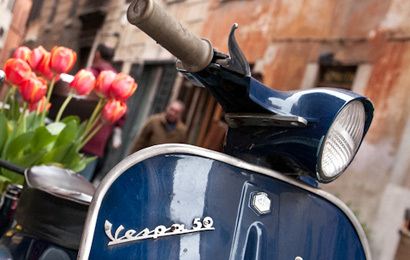 The tour can be combined with Rome airport or train station pick up. "We wanted to be picked at Rome airport and get the idea of the city before checking at our hotel " Ms Burke family, Dublin, Ireland"
This tour is your introduction to Rome, before you dedicate more of your time to the profound visit of the city. It is also a valid option for guests arriving in Rome by a morning flight who wish to get the bearings before checking into their Roman hotel. Meet your English speaking driver, a long-time Rome resident, in the lobby of you hotel or at the Rome airport. See the major highlights of Rome from the comfort of a private car, learn about the city's layout and its neighborhoods from one of Roman hills, chat with your driver about Italian lifestyle, politics, fashion and food, ask questions about when and how, check your restaurant choices, plan your private walks - all to better manage your coming days in this vibrant city.